The Irish Government is considering joining PESCO. This will be one of the most important decisions this FG/Independeny Alliance will ever make. There needs at the very least a serious debate on the issue, and in any genuine debate form all sides in the corporate media. On the evidence so far this is highly improbable, as is their total lack of coverage of the use of Shannon Airport by US troops. These are the key points. 1) the NATO dimension; 2) the necessity to increase defence spending ("regularly increasing defence budgets in real terms in order to reach agreed objectives",); and 3) that the Petersberg Tasks are not as innocent at portrayed. The underlying thread of supporting the arms industry is also a huge point. "EU officials insist this is not just bureaucratic cooperation, but real investment that will help develop Europe's defense industry and spur research and development in military capabilities that the bloc needs most. Mogherini said the move would complement NATO's security aims. The EU, she said, has tools to fight hybrid warfare - the use of conventional weapons mixed with things like propaganda and cyber-attacks - that the military alliance does not have at its disposal." 3. Also, this German news site: http://www.dw.com/en/pesco-eu-paves-way-to-defense-union/a-41360236 'EU foreign policy chief Federica Mogherini described the signing of PESCO as a "historic moment in European defense." The decision to launch PESCO indicates Europe's move towards self-sufficiency in defense matters instead of relying solely on NATO. The EU, however, also stressed that PESCO is complimentary to NATO, in which 22 of the EU's 28 countries are members. Later on in a rushed debate on PESCO, opposition TDs highlighted their concerns about Irish neutrality, allying ourselves with the imperial military forces of France, Germany and the US. Mick Wallace TD condemned the use of Shannon Airport by US military as a base to invade and terrorise nations around the world. Under PESCO we will agree to allocate billions of euro to the EU Defence Fund; in other words we will give away money for the European military industry. Fianna Fail spokesperson Lisa Chambers TD voiced her full support for the Fine Gael motion; it is about being good Europeans, she said. The government won the day with Fianna Fail support. 75 votes in favour, with opposition TDs mustering a credible 45 votes against. The campaign against Irish complicity in militarization and war goes on. Today Ireland spends relatively less on defence than any other EU member-state, and is among the very lowest spenders on defence in the world. 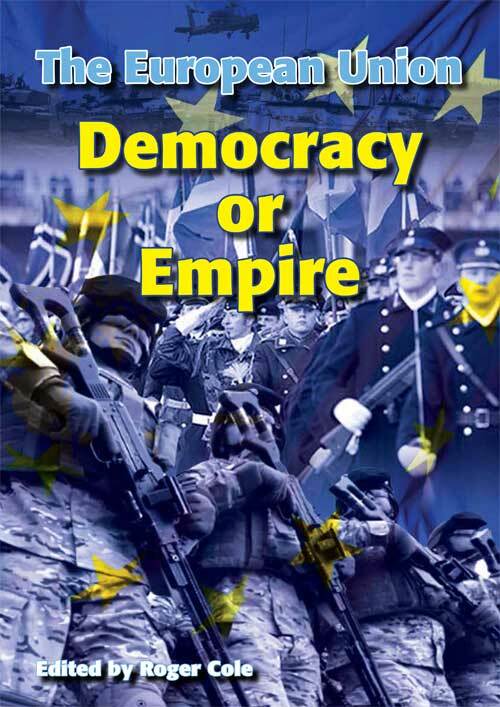 But that will change if Ireland joins the EU’s “permanent structured co-operation” (PESCO) — the embryo EU army. During the past year EU states that are members of NATO agreed to increase military spending to reach a target of 2 per cent of GDP by 2022. These are a majority in the EU; and given that the objective of the “common security and defence policy” in the Lisbon Treaty (2009) was to create a European pillar of NATO, it is likely that there will be pressure to reach this target should Ireland join PESCO. Military missions are expensive! It is not common knowledge that the Irish-led EU Force in Chad in 2008 has already cost Irish taxpayers €59 million. Our contributions to PESCO would also facilitate the development of weapons in countries over whose exports we would have no control. For example, Germany has been criticised for massively increa sing arms sales to the Middle East dictatorships of Saudi Arabia and Egypt. The German government approved the export of nearly €450 million worth of weapons to Saudi Arabia and Egypt in the third quarter of 2017 — more than five times the €86 million it sold in the same quarter last year. The military dictatorship in Egypt alone bought nearly €300 million worth of weapons, making it the biggest export destination for German arms, while Saudi Arabia, at present conducting a blockade of Yemen, handed over nearly €150 million. By comparison, the two countries imported €45 million and €41 million, respectively, in the third quarter of 2016. The German government has not given details of the types of weapons exported, but a large proportion of the sales to Saudi Arabia probably consists of patrol boats. Saudi Arabia and Egypt are responsible for thousands of deaths from their dirty war in Yemen, where there is a continuing civil war between Houthi rebels and Yemen’s government. The military intervention by a Saudi led coalition has led to the death of nearly ten thousand people and has created the world’s biggest humanitarian crisis, in one of the Arab world’s poorest states. Human rights organisations have said the Saudi-led coalition may have committed war crimes, and the United Nations has warned that some 7 million people face possible famine. It used to be completely ruled out for Germany to deliver weapons to countries that were participating in wars; but exports began a few years ago when Turkey was sold weapons, despite its war with the Kurds. We will be hearing a lot of reassuring and soothing sounds regarding “neutrality” during the next few weeks; but the increased costs of military involvement, probable complicity in weapons exports to repressive regimes, and who knows what sort of military adventures, will put paid to any remaining vestiges of neutrality. And we will have to ask ourselves whether we want to become involved in future resource wars and geopolitical manoeuvrings orchestrated by the EU’s former colonial powers, which can easily dominate Ireland in all EU forums. I noticed that "the tonight show" dropped this topic last night at the last minute. The show had antiwar Mick Wallace and the rather sharp Stephen Donnelly on the panel. and it might have scared the sheep! Those at the top treat the Irish people like mushrooms. They feed us manure and keep us in the dark!! PESCO is indeed a very worrying development for us all. Another step closer to EU totalitarianism. First the EU limits any possible spending on social housing. Now our tax will be spent on weapons instead of social housing. While media focused on abortion and Brexit the FF and FG cute hoors did a quickie in the Dail and passed the Pesco thing with a peremptory discussion. Fancy footwork. They can do the three card trick anytime. Irish foreign policy is one-fifth above the surface and four-fifths iceberg below. PESCO is the side door to Ireland joining a EU Army / NATO and would have us involved in "humanitarian" bombing and "peace making" -in other words imposing the demands of the corporate interests that rule above all else. What a clever time for them to do this, everyone is so distracted with belfast trials, abortions and brexit, no one if giving a second thought to this.